IF you need some money the idea of borrowing from yourself AND paying you the interest on the loan makes a lot of sense. Add to that the fact you don’t have to go to the bank, have a credit report run or risk the possibility of a “turn down” for the loan…and it sounds even better! But wait, there is more to like. The interest rate will not be a crippling 20% loan, NO! You will get a rate equal to a top tier borrower’s credit score … WOW! 1) The money you are borrowing is now an OBLIGATION to repay. If you don’t repay as agreed, the funds will likely become taxable and also have an additional tax penalty for early withdraw if you’re under 59.5 yrs old. 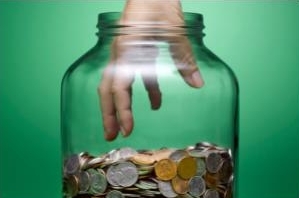 2) Those funds are for your future…do you want to risk your future? 3) If you change jobs or retire, you will have to re-pay the loan at that time. 4) Nothing is free; you will be paying interest on the loan (although it’s nice that it’s to yourself). Now even with that being said, IF you need the loan lending to yourself could be your best “deal”. But first you should know the rules and be serious about repaying the loan. 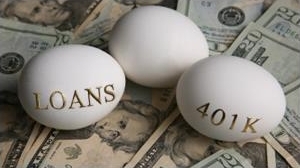 After considering all your alternatives, if no other avenue is available then maybe a 401k loan would work for you. Just be careful and weigh all your options first. A final thought; once you have the loan, remember there is no penalty for repaying faster should things improve.